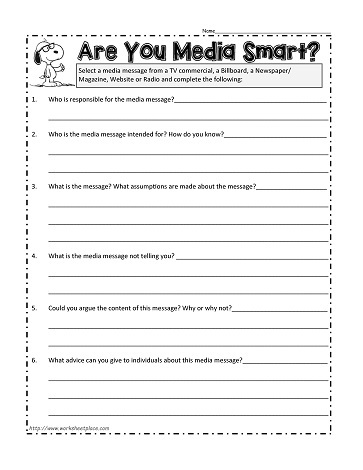 Select a media message from a TV commercial, a Billboard, a Newspaper/Magazine, Website or Radio and complete the worksheet.Who is responsible for the media message? Who is the media message intended for? How do you know? What is the message? What assumptions are made about the message? What is the media message not telling you? Could you argue the content of this message? Why or why not? What advice can you give to individuals about this media message?